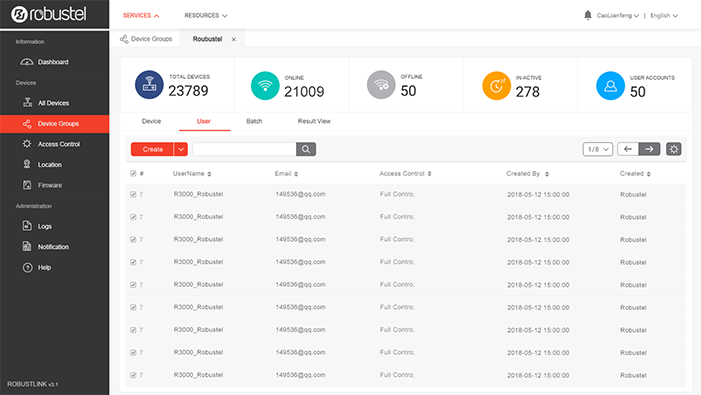 Robustel Cloud Manager Service (RCMS) is Robustel's device management platform. RCMS is designed to provide rapid device deployment and extensive management through an intuitive user interface and on-boarding processes. 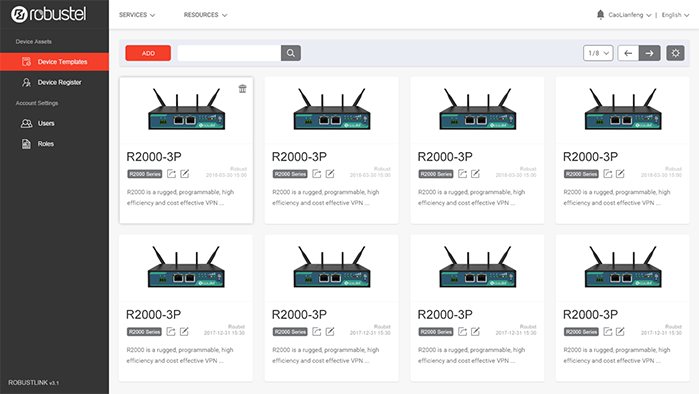 RCMS connects you to the Industrial Internet of Things, with a flexible, secure and cost effective way to collect, store and distribute device data. 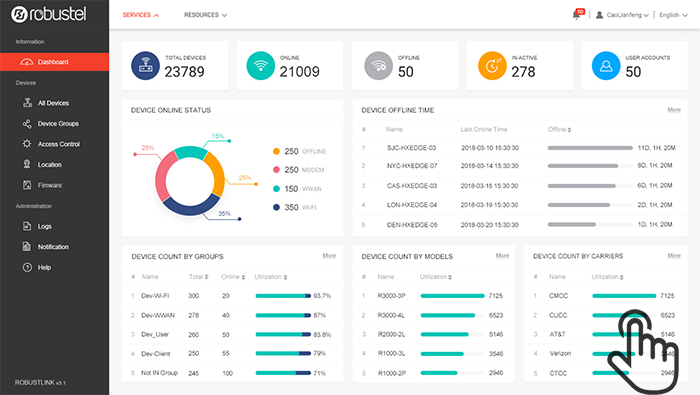 The Central dashboard provides a visual overview displaying the status of your all connected devices in the field.Through this dashboard,you can get an instant snapshot of device data usage,performance and cost. 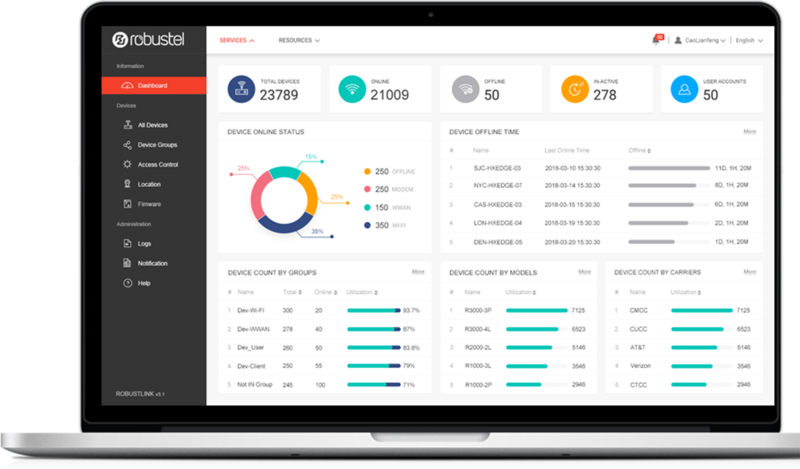 Device templates and profiles allow you to remotely deploy and manage your fleet of Robustel devices instantly without user intervention. 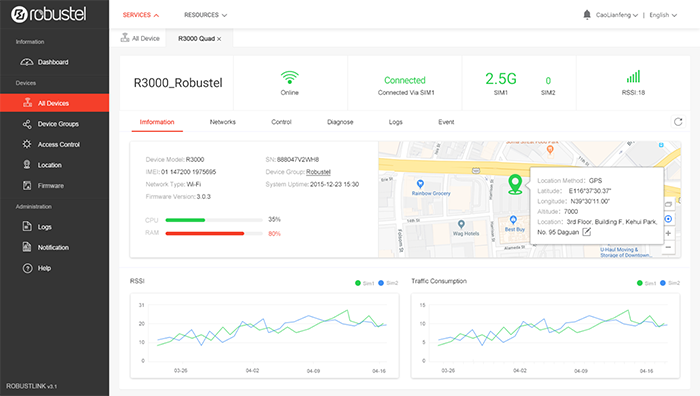 Set performance parameters for your devices to get reports and alerts on network connectivity , signal quality , data usage , packet loss & more.Device monitoring provides historical and current data on an individual device or group basis.These monitoring tools help you understand your environment to. 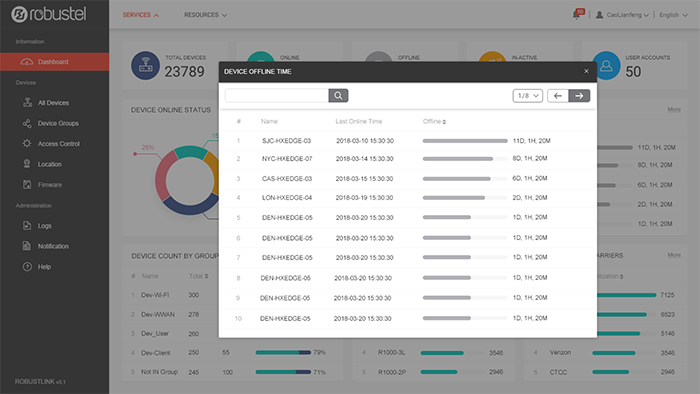 Using powerful API integrations RCMS Stack can tntegrate with leading SIM providers to allow you to control and monitor your SIMs from a single interface. RCMS Stack lets you monitor, diagnose and fix remote devices through an online interface without sending a technical support on site. Remotely configure and perform firmware updates on individual devices or bulk update your entire fleet in seconds. 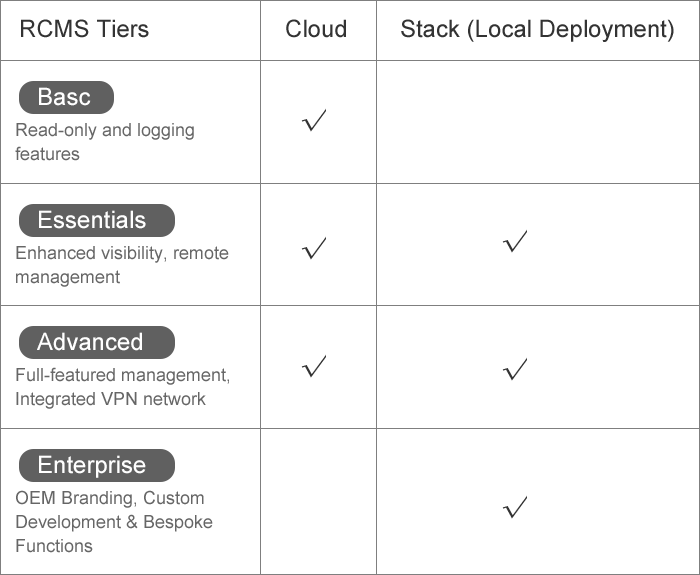 RCMS Stack brings next generation hardware defined VPN solutions to your fleet. 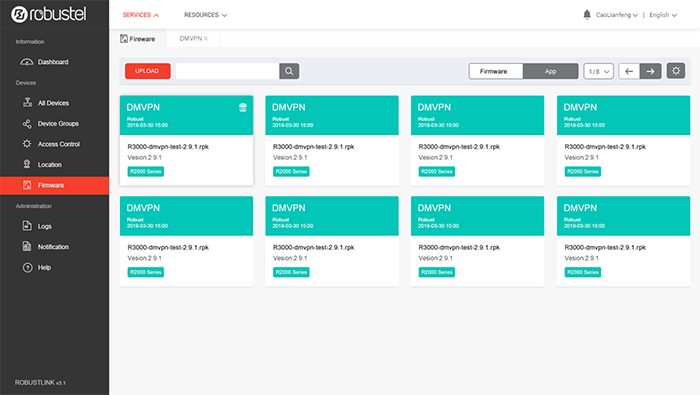 RobustVPN makes creating and monitoring VPN connections simple and integrates with popular protocols like OpenVPN. Robustel is one of the world’s leading manufacturers of industrial quality solutions for the IoT and M2M market. Get the latest on innovations, product launches, success stories and news of IoT applications.